AMSOIL is in attendance at the 2011 SEMA show in booths 20664 & 36001, exhibiting several new products in the New Product Showcase including top-tier AMSOIL Signature Series Synthetic Motor Oils. 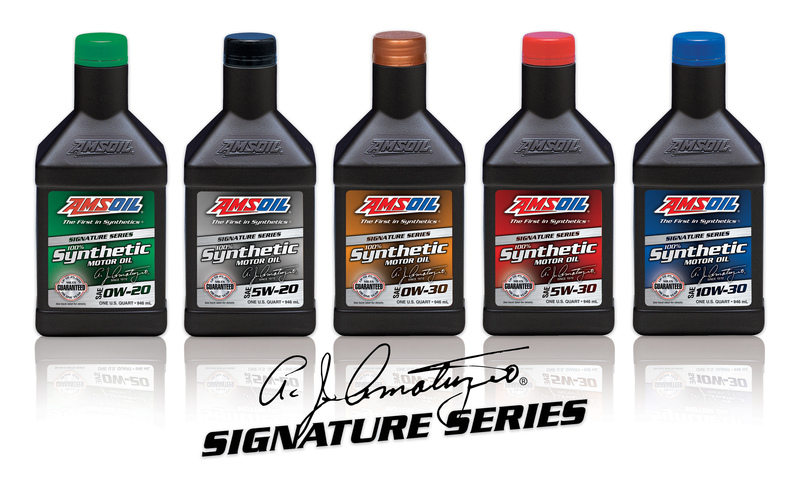 AMSOIL Signature Series features all-new packaging and represent the very best in motor oils that AMSOIL has to offer, allowing motorists to take advantage of maximum extended drain intervals. Signature Series oils are recommended for drain intervals of up to 25,000 miles/one year, whichever comes first (15,000 miles/one year in severe service conditions). Formulated with robust anti-wear additives, AMSOIL Signature Series oils prevent wear in metal-to-metal contact regions while reducing oil consumption and emissions. Anti-friction additives provide improved fuel economy, and it resists thermal breakdown better than conventional oils to provide protection in even the most extreme temperatures. It contains no wax, staying fluid in the coldest winter temperatures for easier starting, improved oil flow and reduced bearing wear. Joining recently launched additions to the OE and XL lines, AMSOIL Signature Series provides motorists with three distinct lines of high-quality synthetic motor oil that appeal to every customer’s need. Consumers can select the oil-change interval option that best suits their vehicle requirements. In addition to being reformulated to meet the latest API SN Resource Conserving and ILSAC GF-5 industry specifications, AMSOIL Signature Series 5W-30 is recommended for the new GM dexos1 specification.